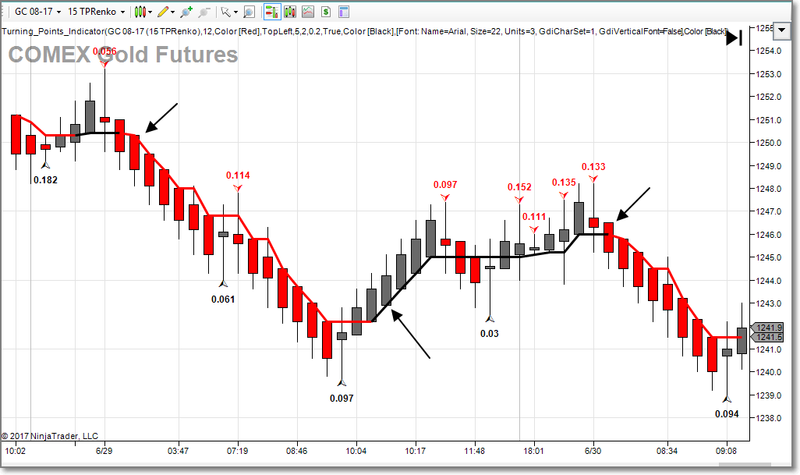 A trade is made when there are two (2) factors present in a particular order. 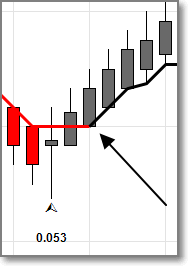 There is a turning point signal which predicts a change in trend. 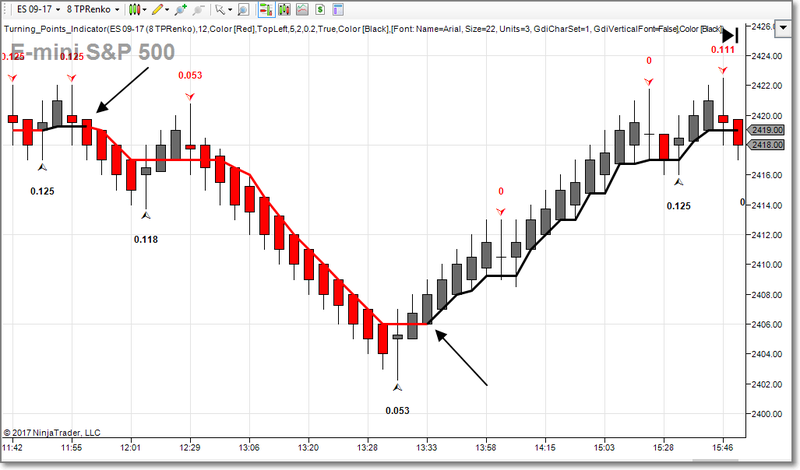 There is a change in trend direction from short (red) to long (black). 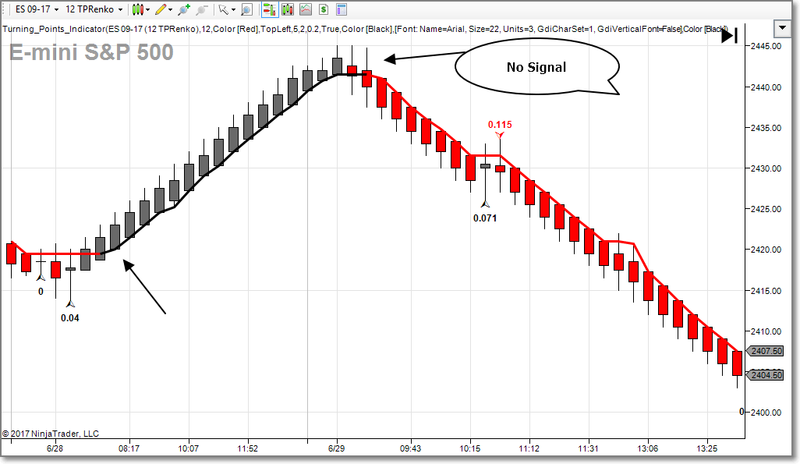 Signal 1 – Change in trend turning point. Marked with an arrow and direction of change to black up arrow (long). Unmarked with a visual change from red (short) to black ( long). 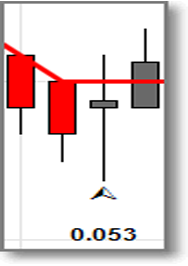 There a couple ways to trade this indicator. 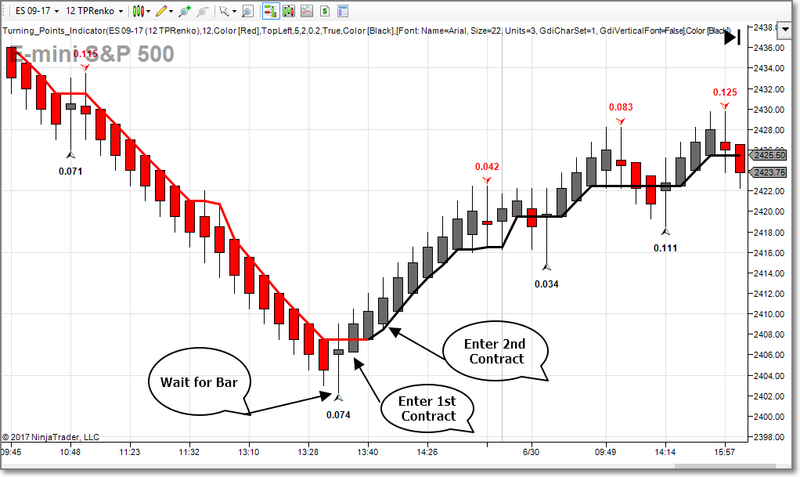 Aggressive – enter first contract after the creation of the trend change up bar. 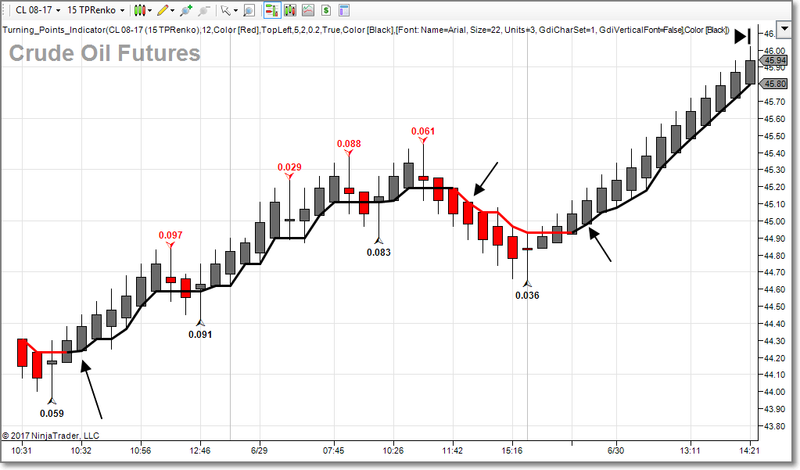 Enter the second contract after the true second signal with the change in trend from red (short) to black (red). 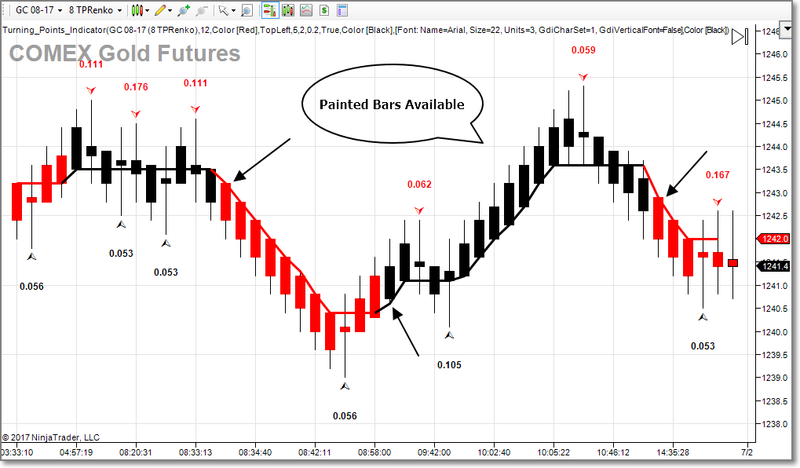 Conservative – wait for first Turning Point Bar changing direction and then enter when the trend line signal turns from red to black (long). Copyright © 2017. All rights reserved. 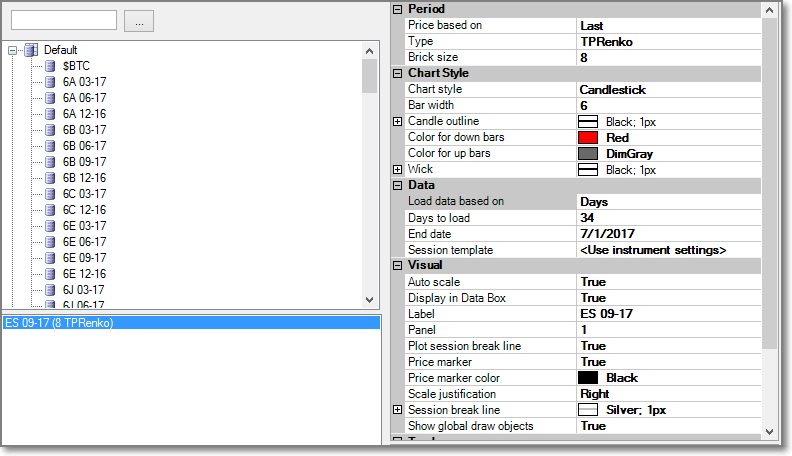 The NinjaTrader Ecosystem logo is a trademark of the NinjaTrader Ecosystem LLC.